This year was my older sister’s first year hosting Thanksgiving, and the first year our generation is running the show. Of course the food is most important, but the table setting and decor were definitely important details to plan. 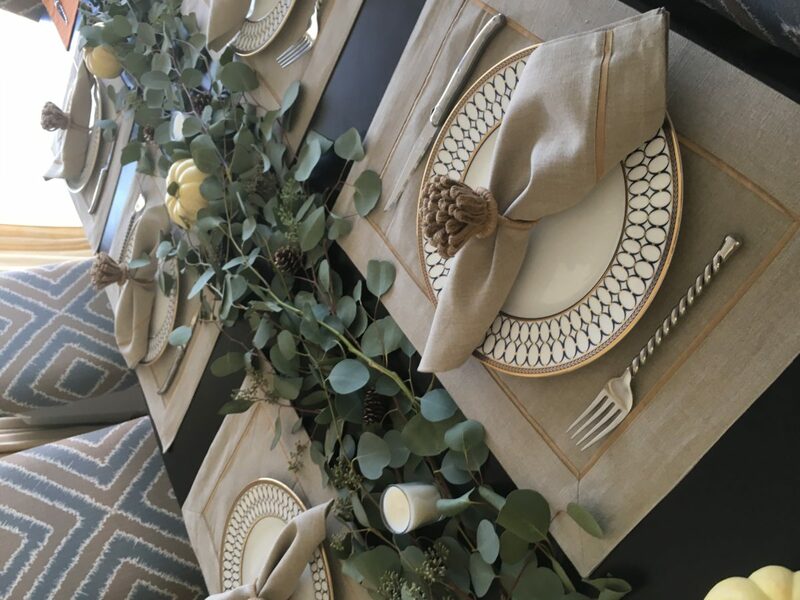 Combining inspiration from a post on Julep by Minted, with various Pinterest searches, we decided on a foliage centerpiece. 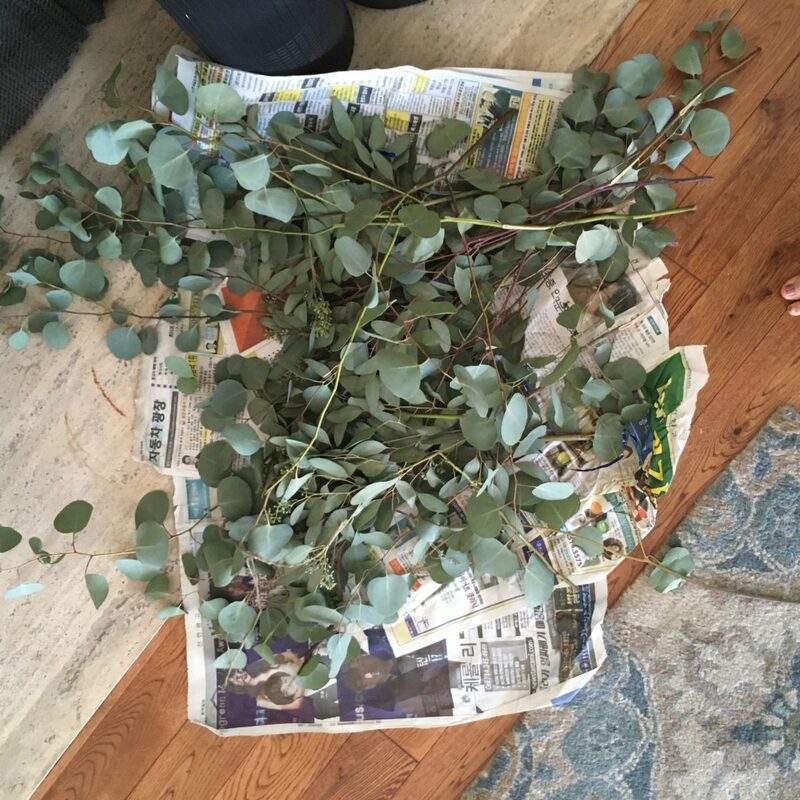 The eucalyptus and stargazers were purchased at the LA Flower Mart, if you have a flower mart in your city, it is your best bet for fresh and reasonably priced loose flowers. 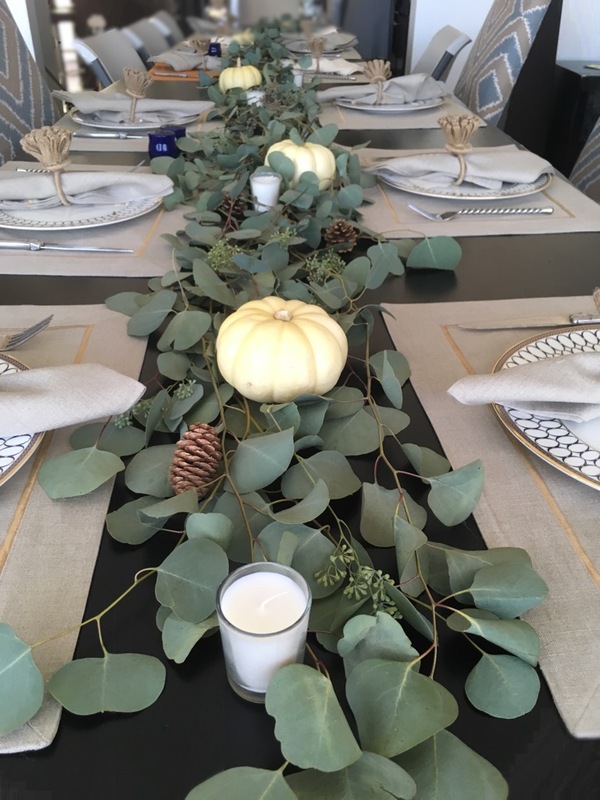 We picked up a variety of pumpkins and squash for accents throughout the eucalyptus runner. 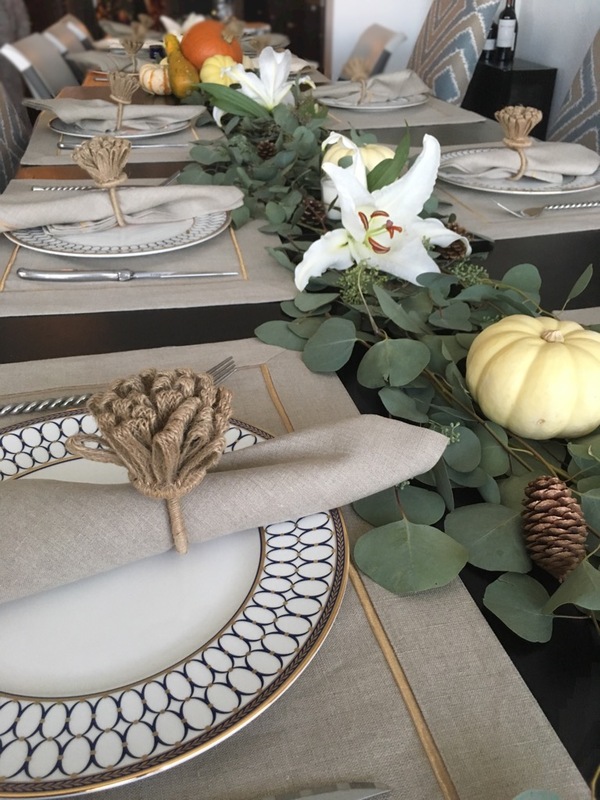 We paired the centerpiece with natural placemats, napkins from Crate and Barrel. The napkin rings were a steal from Tuesday Morning. To bring the glam in, gold silverware and gorgeous gold accented Wedgewood tableware. 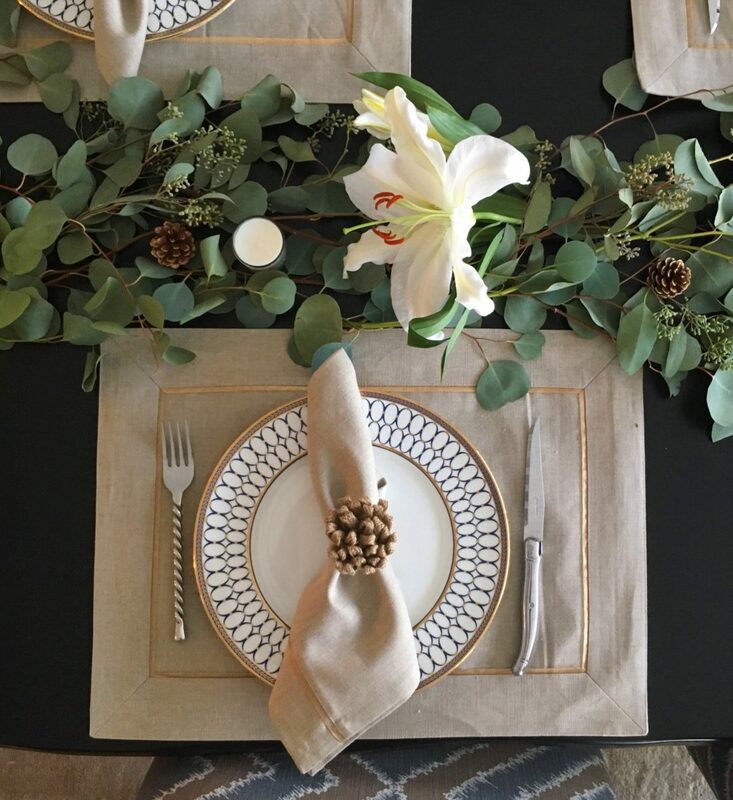 The combination of natural colors with pops of gold, made for a a beautiful Thanksgiving setting. Rustic chic placemats, napkins and napkin holders. Top view of a placemat. This arrangement would also be a great setting for Christmas. Anemone or Peony would be a beautiful substitution for the Stargazers and pumpkins.